Large Choice of 1 to 4 ball bags. 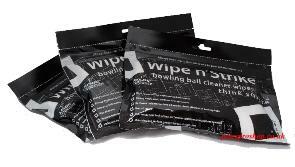 Petes Pro Shop is one of the best stocked bowling pro-shops in the UK, we have an extensive range of bowling equipment available through our online catalogue. We have a drilling service, bowling balls can therefore be drilled before dispatch. Please browse through our extensive online catalogue where all goods are available with Free Delivery on orders over £35 within the UK. A small postage charge of £2.95 is made on orders up to £35 for delivery within the UK. If ordering from outside the UK then the system will calculate the shipping cost. Our online catalogue is constantly being updated and improved. The vast majority of our products are kept in stock so that we can offer fast shipping.